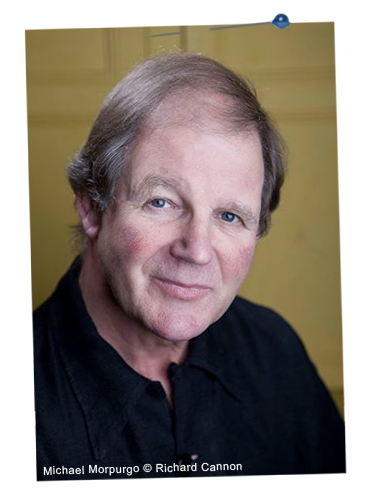 Michael Morpurgo, the best-selling writer of more than 120 books and former Children's Laureate, is our Patron. One of the world's best loved storytellers, Morpurgo has been called 'The Father of Children's Literature' thanks to his hugely popular and multi-award-winning work including; Private Peaceful, War Horse, The Wreck of the Zanzibar, The Butterfly Lion, Kensuke's Kingdom and The Last Wolf. He was named as the third Children's Laureate in 2003. His books have been translated into over 26 languages and he has travelled widely, taking his love of story telling to children all over the world. "I am delighted to be the Patron of Story Pocket Theatre Company. It was apparent straight away that Story Pocket's focus was on sharing stories in a bright, imaginative way. My passion for stories and writing has taken me all over the world and I am lucky enough to see my stories in print and on stage and screen. It was Story Pocket's passion for story telling that struck me. Their shows, staged in beautiful and magical ways, will encourage young people and families to engage in these wonderful stories, both old and new, and to tell their own stories inspiring a new generation of story tellers and theatregoers. It is crucial for young people to be transported to other worlds and for their imaginations to fly to see the possibilities the world can give them. The rest of his letter continued here. In 2003 I was honoured to be made Children's Laureate and during my time in that post I was keen to remind people of the need for stories and to help people discover and rediscover the secret pleasure that is reading. I wanted to remind people of all ages of the power of stories. It's so important that we continue to inspire our children by providing them with stimulating, thought-provoking, creative stories that fuel their imagination as they grow and develop. Story Pocket Theatre has a similar ethos by bringing the stories to life on stage. It has always been a huge pleasure to see my books brought to life in a theatre. To see a company set out with such passion to create this magic for children and their families is very exciting and I am happy to support them on their journey. I have also been impressed by the high production levels with which Story Pocket have launched their work. By employing professional actors, designers and technicians and giving them the security of proper rewards and contracts, the company is encouraging the continued excellence of work by becoming a theatre company that the best in the business will wish to work with. I was aware of Adam Forde's writing when he adapted The War of Jenkins Ear with sensitivity and energy and so I am delighted to agree to become Patron of Story Pocket Theatre Company and wish Adam, Julia, Alison and Mark every success with their work now and for many years in the future."